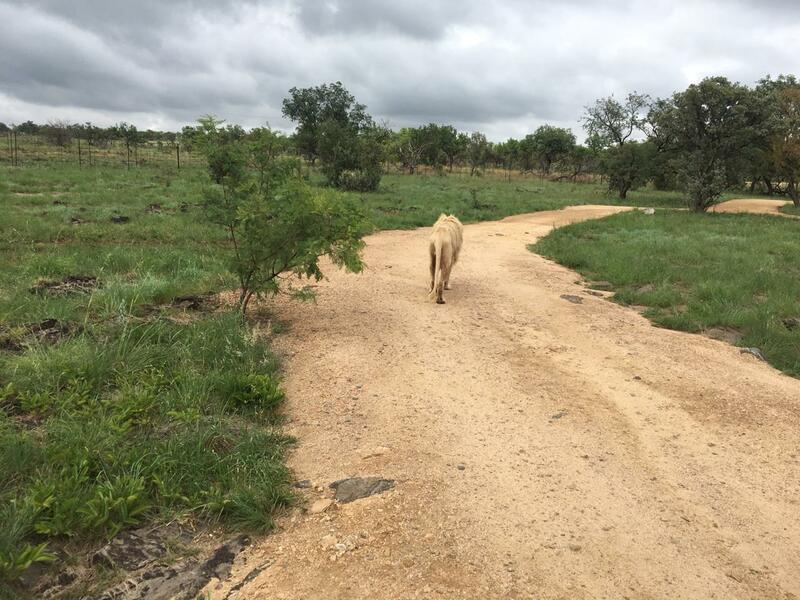 We have combined the essence of a traditional tribal village tour to Lesedi with the excitement and thrill of some up close and personal encounters with African Lions. And all of this within 45 minutes of Johannesburg. So no long and sweaty driving involved. 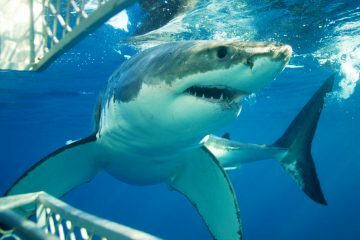 One of our most popular day tours from Johannesburg. And its no wonder!! You will be accompanied on the tour by one of our guides who not only meet you at your hotel for a complimentary pick up, but have a whack of crazy stories to tell you about Johannesburg on route to the tours. 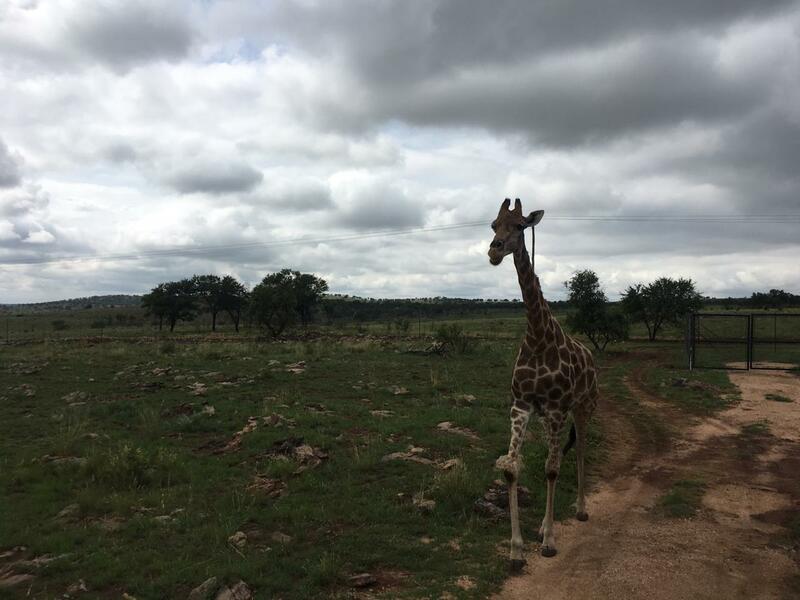 The first part of this incredible day tour sees us paying a visit to the Lesedi Cultural Village situated at the edge of the Magaliesberg mountains. We are greeted at the entrance with some uplifting singing and a warm South African welcome by the residents of the village. As luck would have it, for the ladies that is……. we then hand you over to the scantily clad Zulu warrior who will take you on a journey through the various villages that make up our ‘rainbow’ nation. 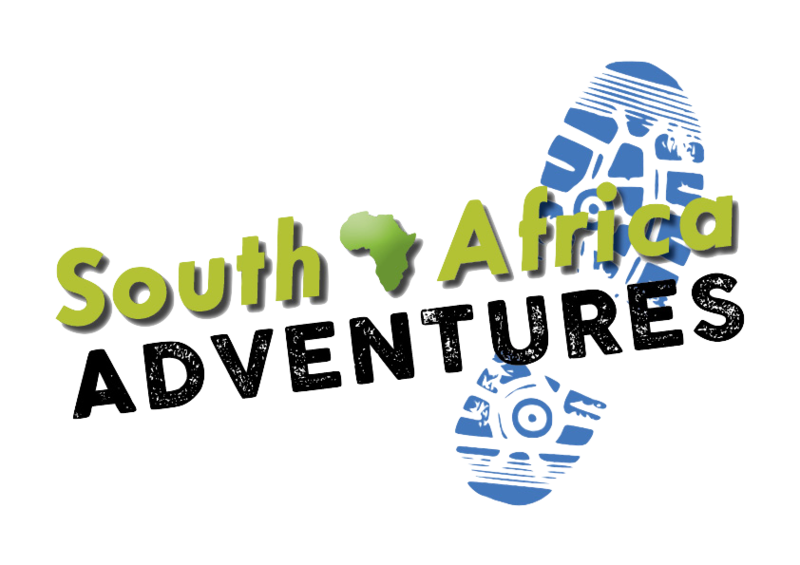 You will be taken through 5 tribal areas consisting of the Xhosa, Zulu, Pedi, Basotho and Ndebele tribes-the prominent tribes of South Africa. The first part of the day tour finishes off with an incredible drumming and dancing session. And please don’t fall in love with the dancers and smuggle them in your bags back to your home town-we kind of need them here in South Africa. Husbands be warned!!! !………….hide your wallets as there is a curio shop in the village that offer a massive variety of African artifacts. The half way mark of the day tour from Johannesburg is signified with a traditional South African meal. Yip…..means you get to taste the delicacies of our nation. And fear not….unlike popular beliefs, we are not going to serve you snake and kid knees pies. The resident cook is going to whip up a variety of fantastic food that we believe will meet your culinary delights. The spread includes crocodile, ostrich, beef, chicken, salads, vegetables and desert. See. Nothing too exotic hey? Bring on part two of the day tour…. We take the 5 minute drive across the road to the Lion and safari park. This is where we pile you into a caged safari vehicle and take you around the reserve on what we call a mini-safari. How cool is that? The drive lasts about 2 hours and you will be accompanied by the park ranger for this part of the tour. 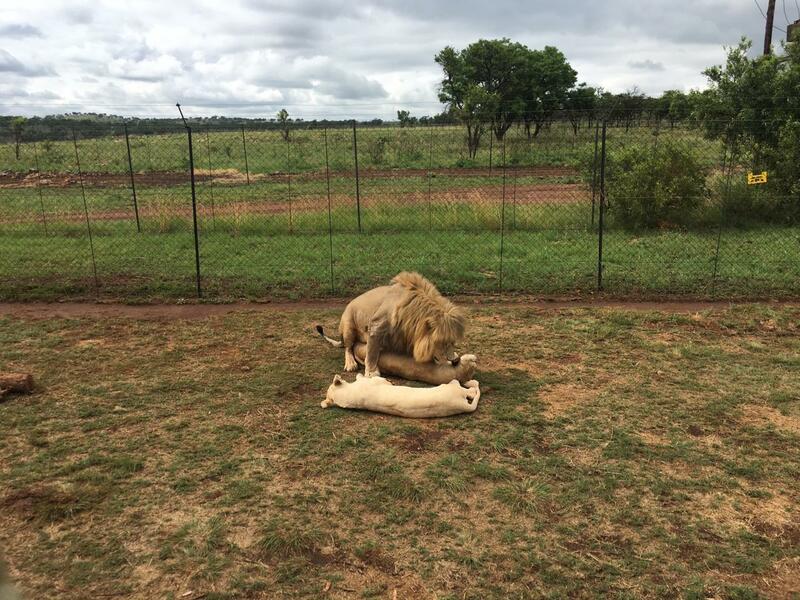 We have also set aside some time for you to go and chill with the lion cubs if you so feel the desire to. What you will get to see on the mini-safari? Well the polar bears are on vacation, so you are out of luck on that front. 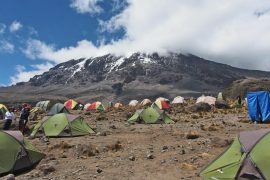 You will however get to see 2 prides of Lions ( including the rare white lion), wild dogs, cheetahs and host of other wildlife including zebra, wildebeest and one of he friendliest giraffes in Africa. 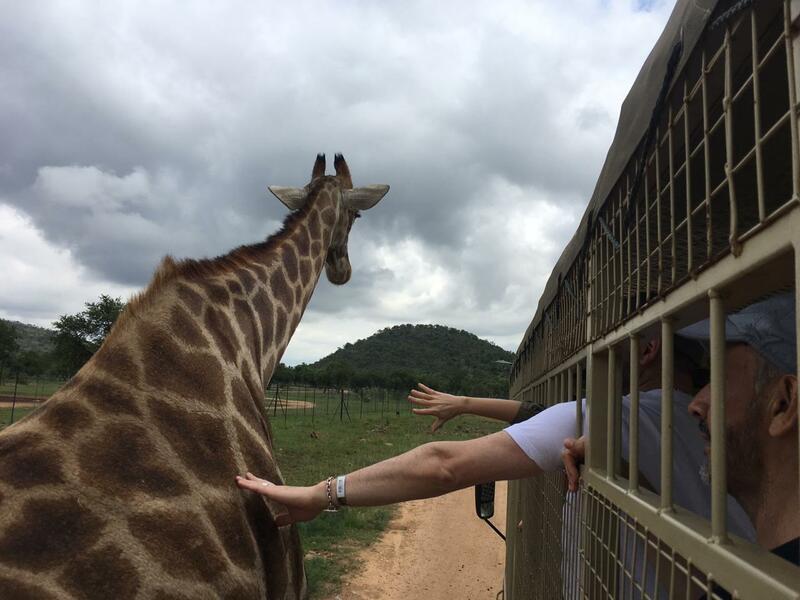 In fact on most tours, this adorable giraffe will take a stroll up to the vehicle and give you a lick or two. Yes. In fact the tour is conducted in a caged game vehicle. So no chance of lions making their way into the vehicle for a human snack. Pick up time is at 10am from your hotel. Our guide will meet you in the reception area. You will recognize him by his friendly smile, cool sunglasses and of course his branded clothing. We then take the 45 minute drive through to the Lesedi Cultural village. We should be there by say 11am. We have factored in some time to compensate for unforeseen traffic conditions. You will then have 45 minutes to stroll around the curio store where you can buy a variety of African artifacts . Just please do not buy the 4m giraffes. We have problems getting them in the car of course. The tour starts at 11:30am and concludes by 1pm. The walking distance is minimal. 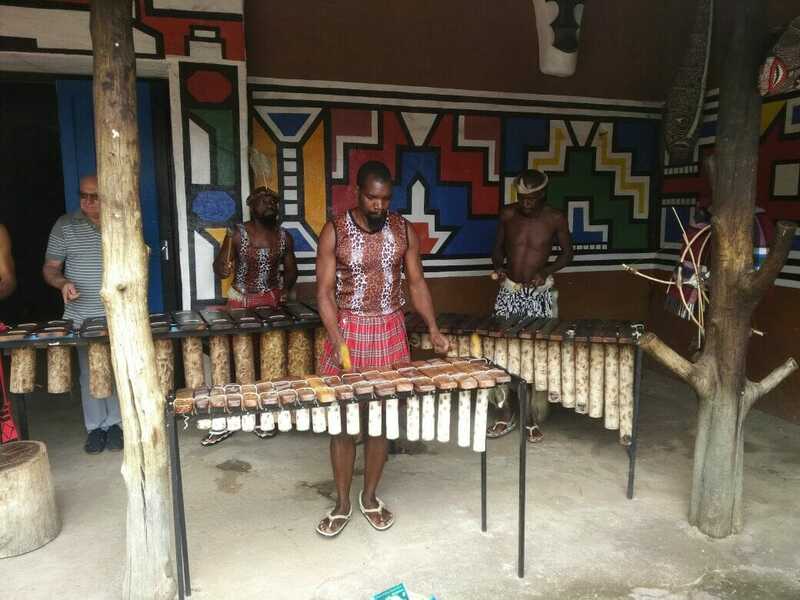 After the tour of the villages you will be invited into the main auditorium for a 30 minute traditional drumming and dancing session. 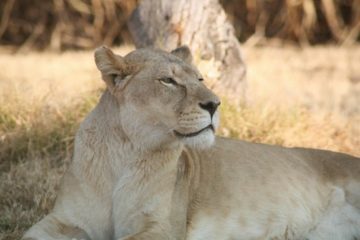 We then take the 5 minute drive through to the Lion and safari park for the second part of our day tour from Johannesburg. 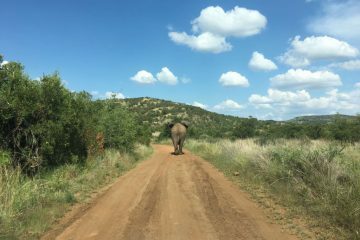 At 3pm you will embark on a 2 hour game drive. 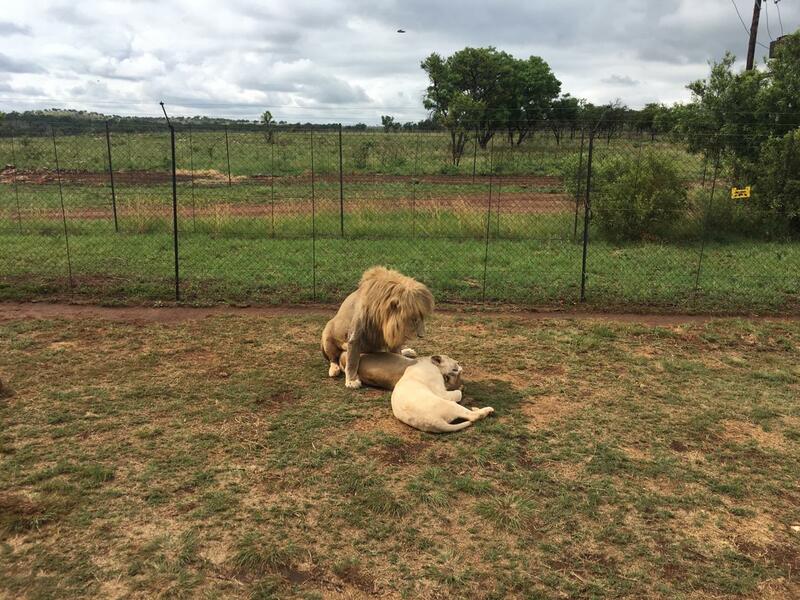 You will be taken into the various enclosures what are home to the lions, wild dogs, cheetahs and leopard. 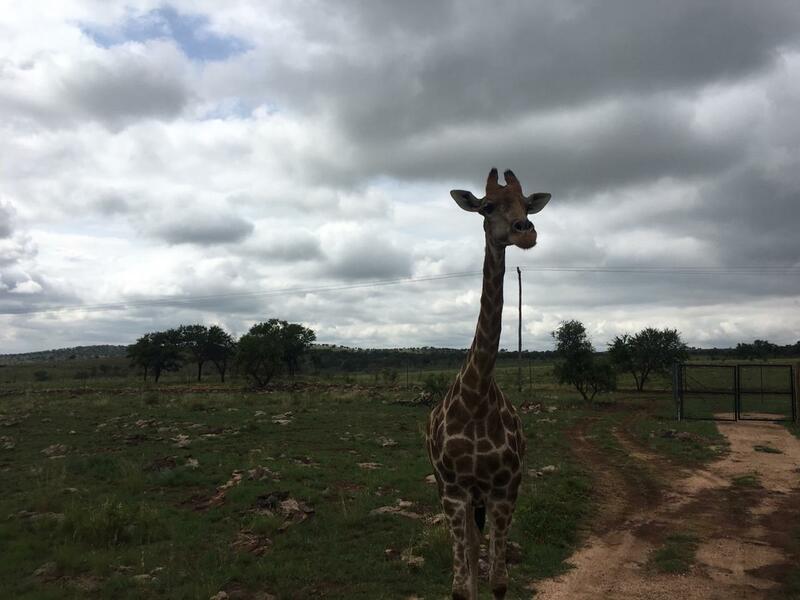 You will alas get to see a variety of other wildlife on the tour that include giraffe, wildebeest, zebra, impala and a start pigeon from New York called Dave. The game drive concludes by about 5pm. We then pile you back into the car and take the drive back to your hotel and shed a tear or two as we bid you a fond farewell. Back by say 6pm.